When you need emergency dental care, our dentist may have to choose between a dental crown or filling to restore your tooth’s natural strength. Dental crowns and fillings are both capable of repairing damage done to teeth. However, there are differences between the two that could determine which our emergency dentist recommends during your next appointment. Please contact us with any questions. In this blog post, our dentist in Holland, Michigan will go over the pros and cons of tooth crowns and fillings so you can feel more informed while seeking dental treatment. Do I really need a crown on my tooth? When your teeth are severely damaged or decayed, you’re better off spending the extra money for a dental crown. Dental crowns are different from fillings because they cover the entire visible portion of your tooth above the gum line. In fact, some of our patients call them “tooth caps.” For intensive tooth repair, a filling wouldn’t be capable of properly restoring the tooth to its natural function and appearance. Dental crowns help protect the underlying tooth enamel from experiencing further damage and sensitivity. Since crowns cap your underlying teeth, they are more durable and usually last for longer periods of time than dental fillings. Our dentist will be able to advise you on whether a crown is necessary for the amount of tooth damage present. Teeth that have been weakened by repeated restorative dental treatments may also benefit by being fitted for dental crowns. Small cavities often call for fillings. If the damage done to the tooth is minimal, you might be able to get away with just having a filling done. Fillings can be preferred over dental crowns because they are completed within a single visit to our office. Unlike dental crowns, our emergency dentist will not need to take impressions of your teeth in order to do fillings. This means that your treatment will take less time and cost less money. Like the name suggests, cavity fillings are able to fill in small areas in your tooth that have decayed or otherwise been damaged. Many patients appreciate fillings because they are less invasive than dental crowns. To prepare a tooth for a porcelain crown, the natural tooth structure must be filed down so the crown can easily fit over top. With fillings, you are preserving as much tooth as possible to fill in only those areas that are damaged. White cavity fillings also match the color of your natural tooth enamel, which is perfect for teeth that show when you smile and talk. Is it better to get a crown or a filling? When deciding the best dental procedure for your tooth, you’ll need to consult with our dentist. From our dentist’s prior experience treating patients, he’ll be able to determine whether the damage is severe enough to warrant a dental crown procedure or if you’ll be able to get away with a filling. Even if the damage done to the tooth is minimal, some patients choose porcelain crowns for their durability. Ultimately, the choice will need to be discussed by you and our dentist. 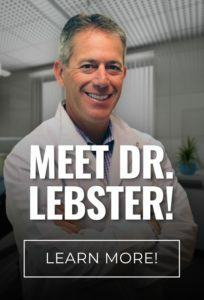 Dr. Ryan Lebster DDS is dedicated to providing patients with the highest level of dental care. If you need urgent dental care, call RediDental Emergency Dental Care to schedule an appointment with our 24 hour dentist in Holland, MI at (616) 796-3200.